Morwenstow is a small village 7 miles north of Bude, on the Atlantic coast of Cornwall. 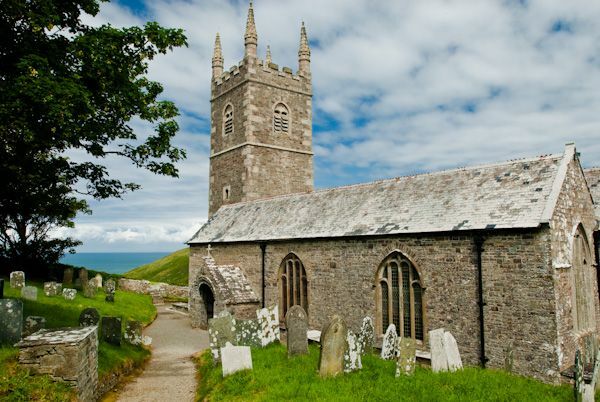 The parish church, dedicated to St John the Baptist and St Morwenna, is a lovely building on the edge of the tall cliffs that border this most northerly of all the parishes in Cornwall. 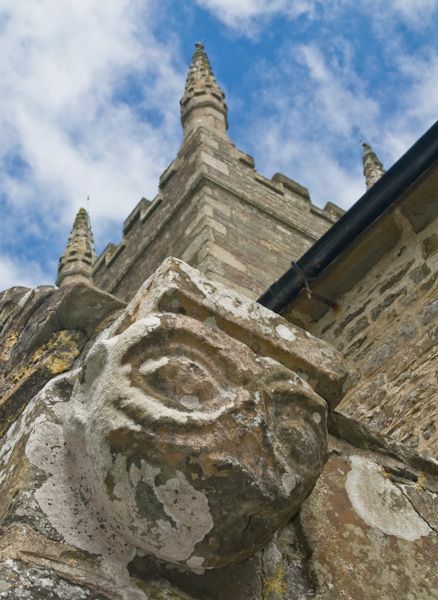 The site used by the church may have been used as a burial ground before the Saxon period. Certainly, there was a church here before the Norman Conquest, and the beautiful old tub font at the west end of the church has survived from this time (though another theory says that it is early Norman). 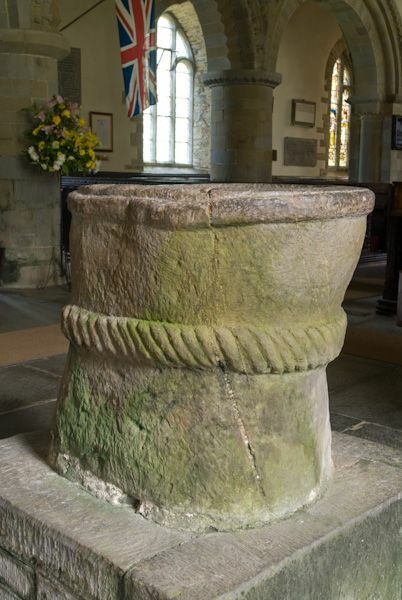 This is a roughly carved font, with a line of continuous decorative carving below the rim. Three bays of the north arcade of the nave dates to the early Norman period and the south porch and parts of the doorway are also 12th century. 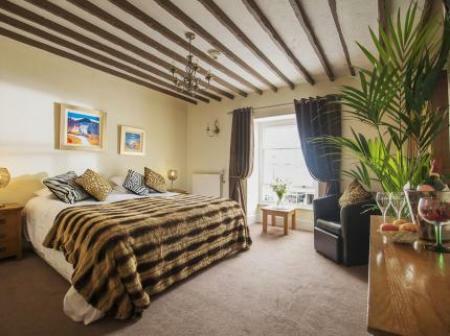 The doorway is beautifully carved with traditional Norman decorative elements such as zigzag patterns, and other figures including a mermaid, whale, dolphins, a lamb, dragon, birds, and fir cones. The chancel and east end of the nave are 13th century, while further renovations took place in the 14th and 15th centuries to create the attractive building we can see today. 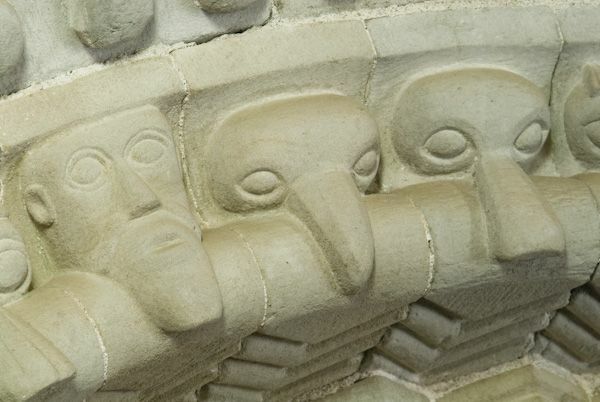 The arcade arches feature spandrels carved with likenesses of a wonderful variety of beasts and humans, such as an antelope, a monk, and even a hippopotamus. One of the nave capitals bears the inscription 'This is God's House'. Nothing unusual in that, except that the inscription is upside down, presumably so that it could be read by angels looking down from on high. 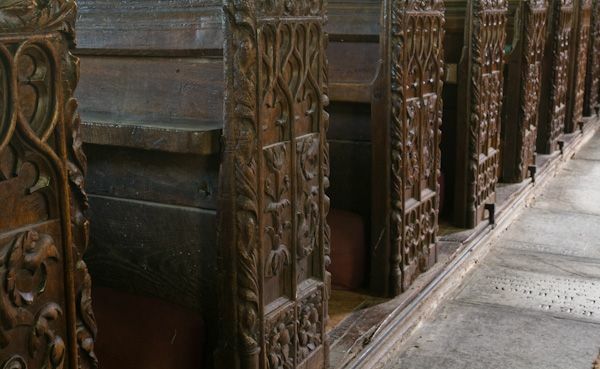 One attractive interior feature is a carved and painted rood screen, dating to 1575. On the north wall is a fragment of a late 15th-century wall painting, showing a woman who may represent St Morwenna. 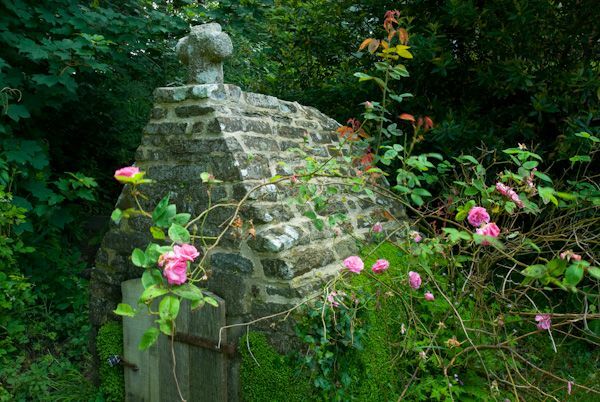 A short stroll from the churchyard takes you to St John's Well, an ancient holy well in the grounds of the vicarage. There is another holy well, dedicated to St Morwenna, set into the steep cliffs to the west of the church. An exhilarating walk from the church, and along the cliffs, leads you to a picturesque hut made of driftwood, set into the slope of the cliffs. This was built by Rev RS Hawker, Morwenstow's most famous vicar, and is now the smallest property owned by the National Trust. The hut is open access, which means you should be able to visit it at any time. 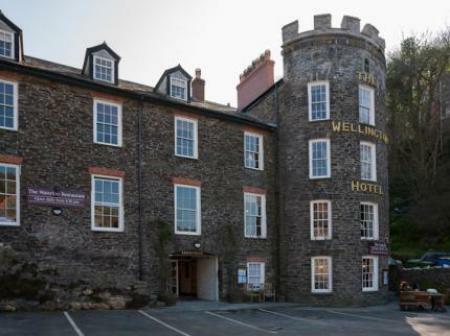 Hawker was a true Victorian eccentric, and author of the poem 'Song of the Western Men', with its famous line '... and Shall Trelawney die, Here's twenty thousand Cornish men: Will know the reason why!'. Hawker used to sit in his little hut, look out to sea, and compose his poems (and, if rumour can be believed, smoke opium). He was not always alone, for he is known to have hosted such luminaries as Alfred Tennyson and Charles Kingsley in his little hut. A Celtic cross in the churchyard was moved here by Rev Hawker in memory of his first wife, Charlotte.